Global interest in lithium batteries has generated state-of-the-art breakthroughs, moving away from traditional lead acid batteries in favour of lithium based batteries. This conference explores industry issues and experts will share technical knowledge on how the upsurge of lithium battery demand will affect the mining, technology, manufacturing, solar, electric vehicles and dangerous goods industries. Simon Chan – Radlink Chief Engineer – is an energy storage design specialist. In our search for suitable alternative energy harvesting and storage technologies, we have partnered with a lithium battery supplier to offer turn-key energy storage design, manufacture, supply, maintenance and support in Australia. Simon will be sharing his recent experiences with lithium battery technology in a highly practical and engaging technical presentation. 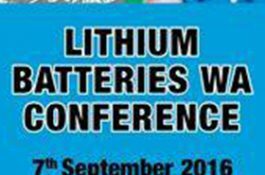 Register here for Lithium Batteries WA Conference.